Forex - Thai Baht vs Ringgit Malaysia. The constant political unrest at our neighbours' soil, Thailand is really hitting their currency hard. 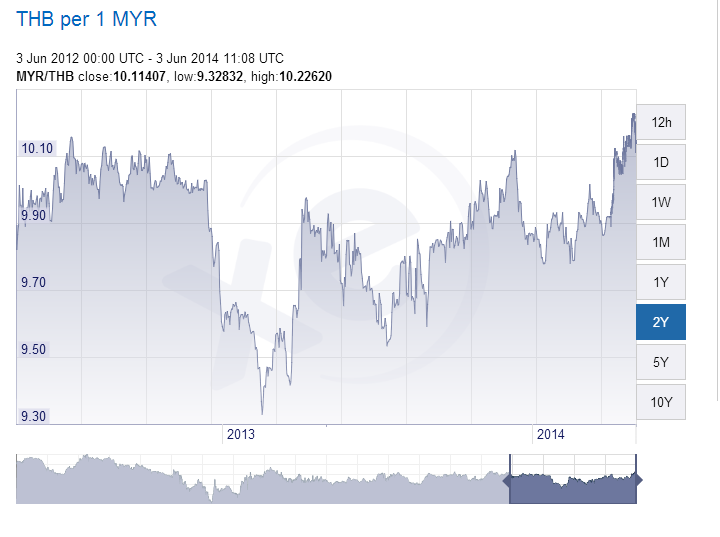 Now even the Ringgit Malaysia is going to hit a 5 year high versus the Baht. Now it is roughly (10.2 baht is equivalent to RM1). Hope everything gets well for them as usually those that suffers the most are the common people; especially those whose rice bowls are derived from tourism. In the meantime? Forex ? Anyone?